This itinerary visits the world´s deepest canyon: Colca, to watch the splendor flight of the condors, then navigate the stunning Lake Titicaca to sail to its islands made of reeds, and a scenic train ride to Machu Picchu, a unique architectural monument and world marvel. 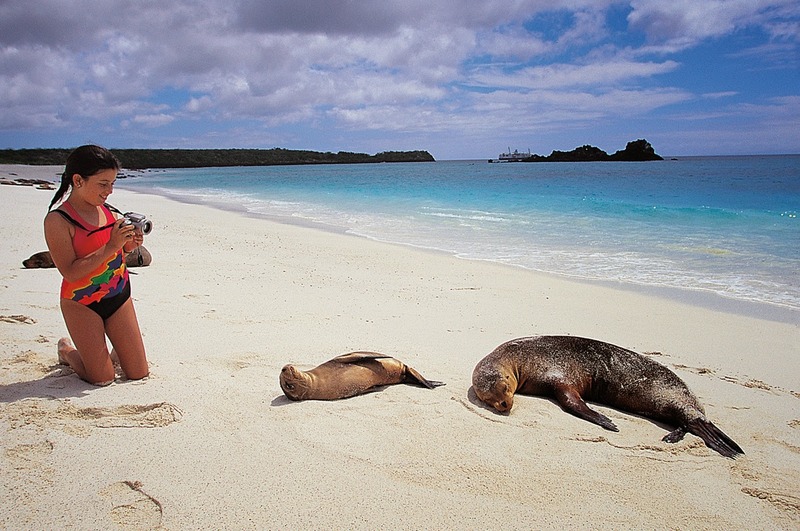 The trip ends with a rainforest tour to visit its exuberant and vigorous flora and fauna. 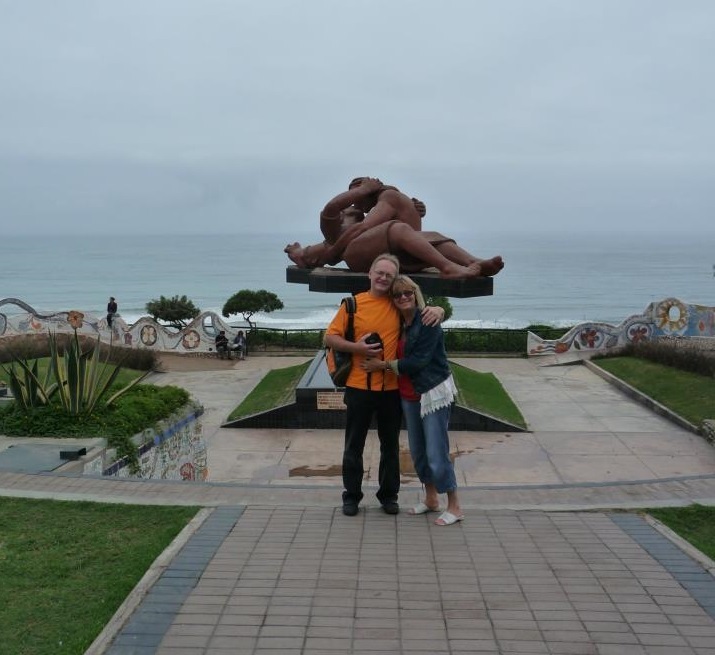 Transfer to Lima airport to take the flight to Arequipa. Upon your arrival, reception and transfer to your hotel. 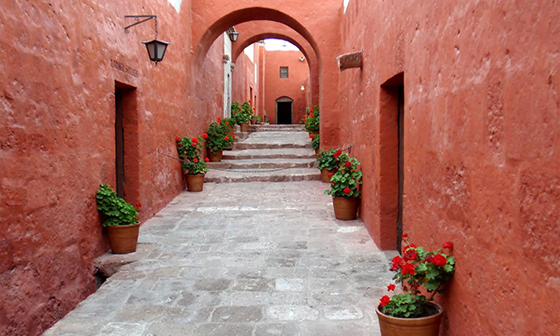 You will have around 3 hours tour on Arequipa’s city, also known as the White City, during this tour we will show you all the charms of its main streets and colonial buildings like: main square, the cathedral, churches and religious cloisters, also Santa Catalina convent, which is a city within the city – built on the XVI century and closed to the public for almost 400 years until 1970, and it’s still home of a few nuns. 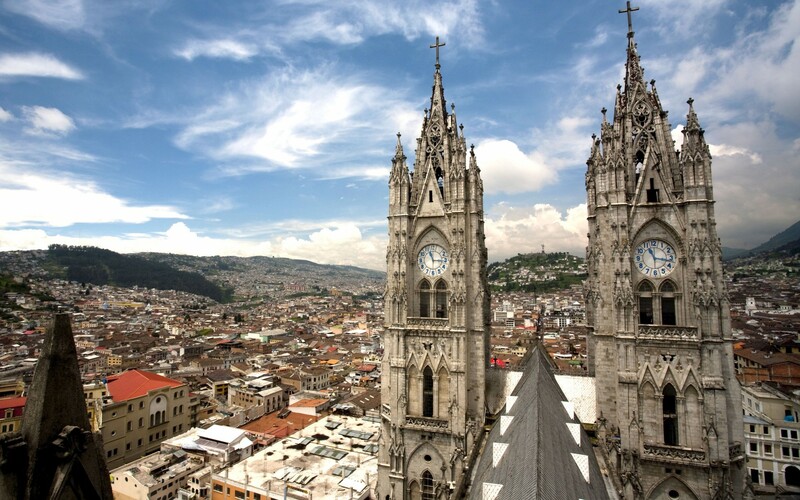 The tour continues to the church and Square of San Francisco and Yanahuara area which has a famous lookout where you will have a complete view of the city and enjoy a spectacular view of the Misti Volcano. 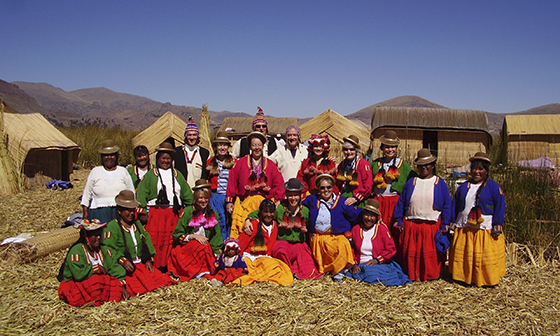 Departure to Colca Valley located over 3,500 meters above the sea. On the way you will cross the Aguada Blanca and Salinas National Reserve, with the highest presence of Andean flora and fauna. The trip continues to Tojra wetlands. Later you will cross Patapampa which is a land located over 4,800 meters above the sea where you will find the “Mirador de los Andes”, a strategic point to see the cordillera Chila with great volcanoes: Mismi, Chucura, Huaracante, and far away the Ubinas, Misti, Chachani, Ampato, Sabancaya and Hualca Hualca. Continue towards Chivay town. 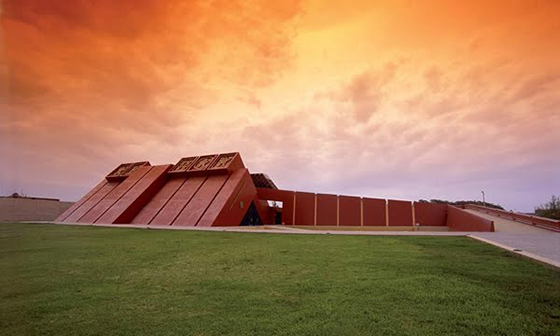 After breakfast, you will start the journey through the main towns of the valley until reaching Yanque, where you will appreciate its typical dances, then a short visit to its site museum that exhibits a collection of textiles. You can also choose for a short walk along a path at the edge of the canyon. 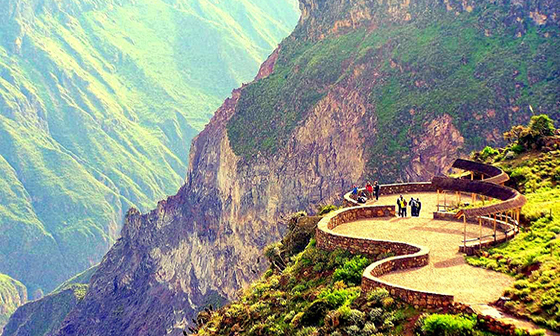 Then, departure towards “La Cruz del Condor”, the best spot to observe the deepness of the canyon of 11,155 ft. deep and 124 miles long and also the place from where almost always is possible to see the majestic fly of the condor. On the way back visit some very interesting typical towns, pre-inca hanging tombs and terraces. 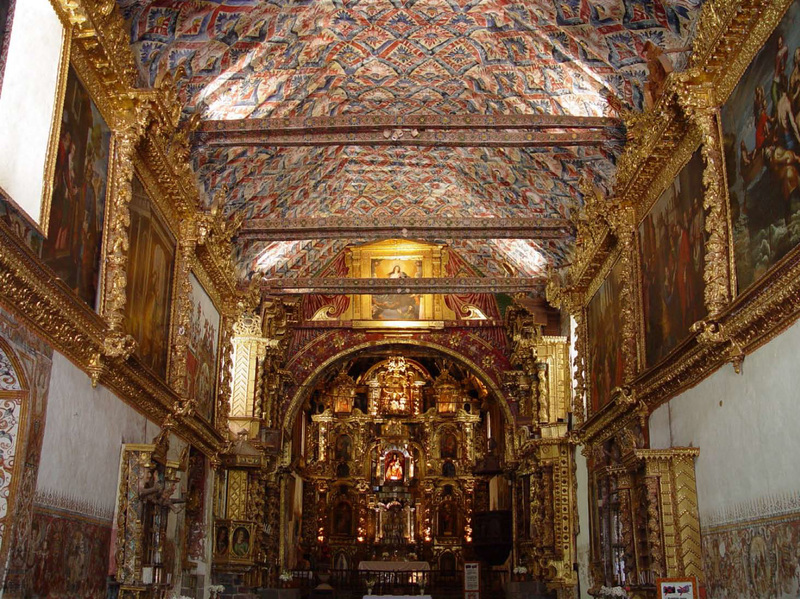 Transfer to Cabanaconde town where you will visit the main square and San Pedro de Alcántara church. 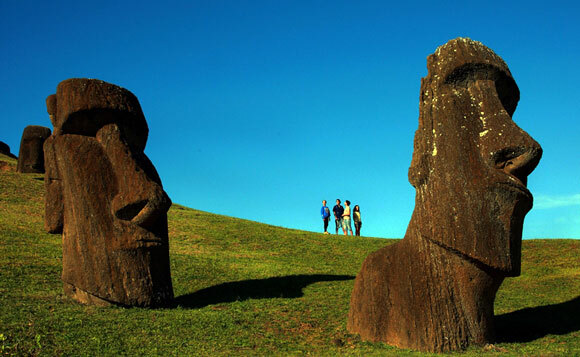 After breakfast you will visit the village of Coporaque ruins of Uyu Uyu, impressive pre Inca terraces. At appropriate time you will be transferred to Puno. You will take a 40 minutes trip to Uros floating islands. These islands are occupied by people known as the "Water Tribe" because they have built their own "Islands" by adding periodically new layers of "Totora" a type of marram-grass very typical from this place. There you will have the opportunity to navigate a typical "totora" boat. Then, you will continue your trip to Capachica Peninsula to visit the rural community of Llachón. Llachón has a diverse and unique characteristic of alive culture, biodiversity and archaeological resources with a strategic location within the peninsula. 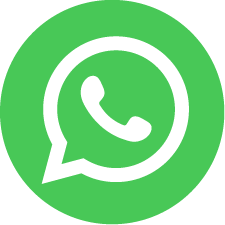 Here you will have a personal contact, and the opportunity to enjoy the physical and human environment, to participate in activities, traditions and life styles of the local population. For this reason, you will visit one of the families to share lunch prepared by the villagers, an unforgettable life experience and also you will have the opportunity to wear typical dresses and learn their customs. At appropriate time you will be transferred back to Puno. At the appropriate time, transfer to the bus station. Departure for an eight hours trip towards Cusco, the Inka Express bus will stop in some interesting places such as Raqchy Temple and some old Inca constructions. You will contemplate marvelous landscapes and typical animals like the "llama", "alpaca" that will make of your journey an unforgettable one. Discover the best of the Sacred Valley of the Incas through this route starting on the Inca's Balcony, a beautiful terrace with an impressive view of Chinchero, where twelve families still preserve their traditional costums, showing you the ancestral way in which they process the wool, and obtain those vivid colors for their textiles. 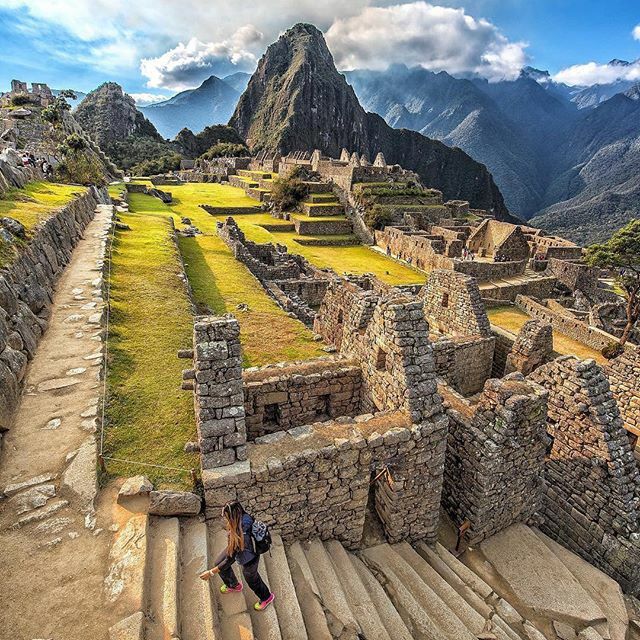 Afterwards, you will get to Ollantaytambo, one of the most monumental architectural complexes of the ancient Inca Empire, one of the few places where the Spanish conquistadors lost a major battle. Very well known for its “andenes” (terraces dug into the slopes of mountains for agricultural purposes), Ollantaytambo was a highly effective fortress, that also served as a temple. Then, you will continue to the town of Ollantaytambo, “the unique living Inca town”: the best surviving example of Inca city planning, with narrow cobblestone streets that have been continuously inhabited since the 13th century. Visit the huge circular and semicircular agricultural terraces near Moray, built on a limestone plateau, that face Urubamba Valley and were used as botanical lab by the Incas. It’s believed they have a mystical meaning. Its function, besides the agricultural one, remains a mystery. Very close, below the colonial town of Maras, we find the mines of one of the finest salts with guarantee of origin and quality, salt of Maras. These mines form old terraces and lagoons, a must for amazing photos. 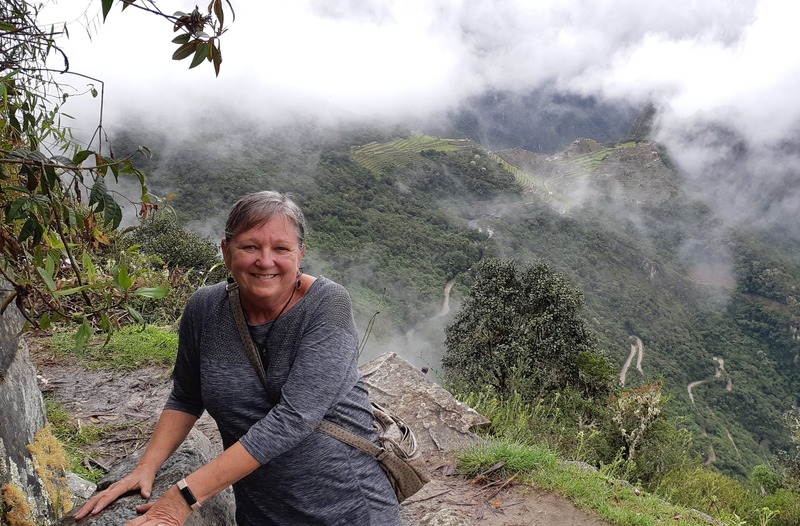 You will start your Machu Picchu day excursion with a private guide. 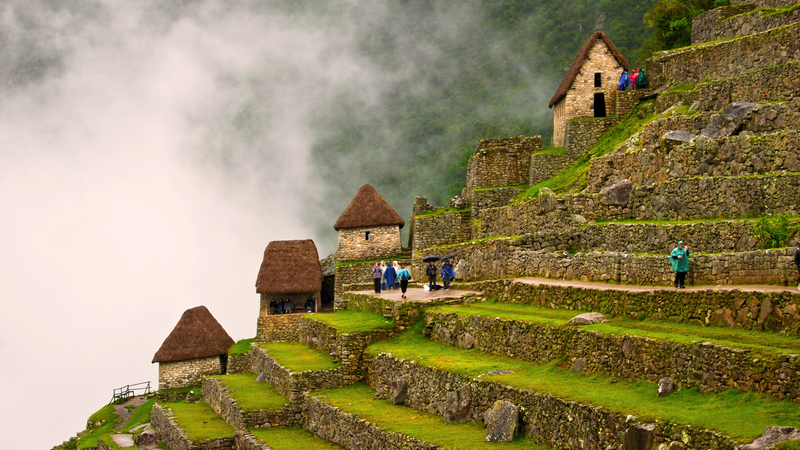 The citadel is a renowned example of the Inca’s architecture, surrounded by an amazing landscape of lush forest. 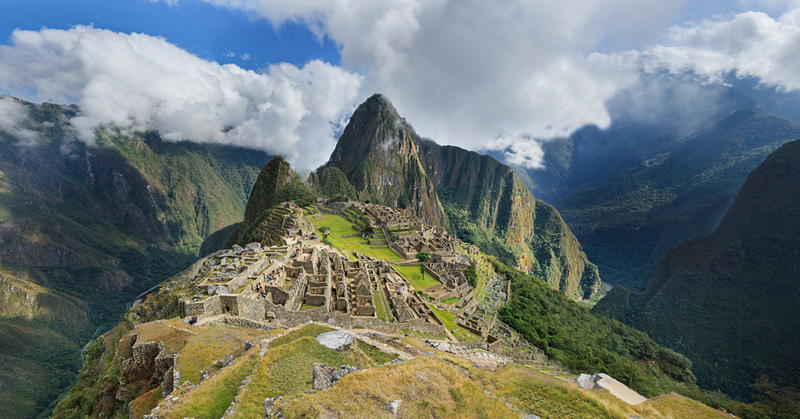 Lost in history, Machu Picchu was not discovered until 1911 by the American explorer Hiram Bingham, but was built in the middle of XV century. The name of the citadel comes from the Quechua language that means “Old Mountain” and apparently was the principal Inca’s Sanctuary. Start your journey navigating by outboard motorized canoe along the Madre de Dios River to Inkaterra Hacienda Concepcion for approximately 25 minutes. Enjoy lunch with organic ingredients and native flavors. After lunch, take a walk through Concepción trails, inside property nature trails, where you will discover and learn about primary and secondary rainforest, its components, uses, transformations by the human being, and its relevance for the world. At dusk navigate by outboard motorized canoe, at the twilight river excursion. 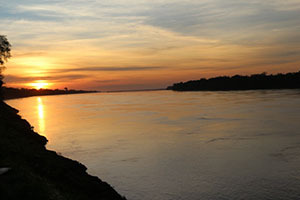 By sailing on the Madre de Dios River, you will learn about its ecosystem, Amazonian creeks, nocturnal animals’ behavior, and the southern constellations. In the evening enjoy a nice dinner in the Casa Grande’s dining room. Overnight at Hacienda Concepcion by Inkaterra at Puerto Maldonado. New experiences are ahead and after taking a nutritious buffet breakfast, get ready for a long trek through terra firma into the Tambopata National Reserve towards lake Sandoval. 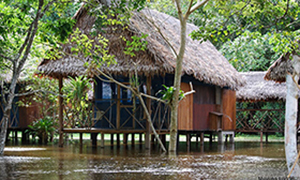 Here you will understand why Madre de Dios is called the biodiversity capital of Peru, while learning about the Reserve’s conservation efforts and the lake’s formation. Navigate by dugout canoe across this mirror-like oxbow lake that is home to the endangered giant river otter (Pteronura brasiliensis), blue and yellow macaw (Ara ararauna), red howler m.onkey (Alouatta seniculus), black caiman (Melanosuchus niger), and one of the world’s biggest fresh water scaled fish, the paiche (Arapaima gigas). Back to the lodge for lunch, and later the canopy walkway & Anaconda walk await for you. 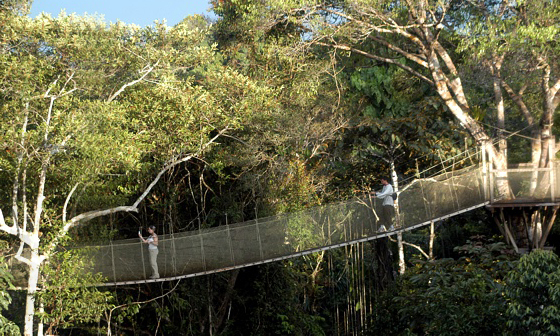 Take a 20-minute ride by outboard motorized canoe to the Inkaterra Canopy Walkway Interpretation Center where you will learn about its construction and the conservation projects of ITA-Inkaterra Asociación (NGO). Ascend one of the two 98-foot towers (30 m.) and cross the 7 hanging bridges that connect the treetops at 91 ft. high (28 m.). Enjoy the breathtaking vistas and get the chance to watch white-throated toucans (Ramphastos tucanus), woodpeckers, trogons, squirrel monkeys (Saimiri boliviensis) and the three-toed sloth (Choleopus hoffmani). After descending keep on feeling the incredible primary rainforest energy going along the 200-meter wooden bridge over the swamps (aguajales). You will learn about the fauna and flora of this flooded ecosystem. At night get ready for an adventure at the hidden rainforest excursion, where you will explore the Amazon rainforest that gives way to nocturnal animals who display intriguing behavior patterns, and enhanced senses as adaptation mechanisms. Listen to nocturnal living nature sounds, and penetrate this hidden world. Return to the lodge and enjoy a nice dinner. Overnight at Hacienda Concepcion at Puerto Maldonado. After breakfast buffet, take the ride back to Puerto Maldonado by outboard motorized canoe. Arrive at the Butterfly House where you will wait for your flight to Lima, while visiting this beautiful butterfly house learning about the fascinating transformation of these colorful insects. 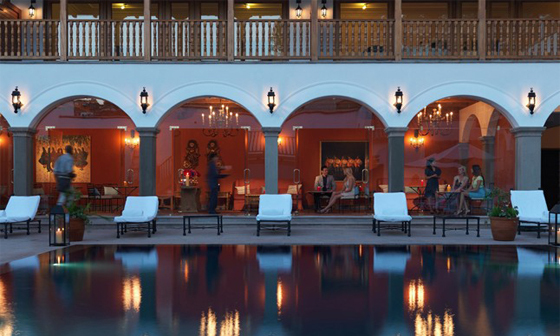 2 nights of accommodation in Colca at selected hotel. 3 night of accommodation in Cusco at selected hotel.